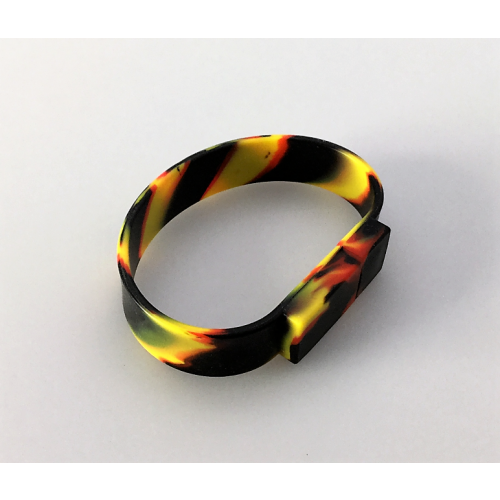 Add a splash of colour to your outfit with a fun wrist band. It is bold and bright in shades of yellow, red and blue that blend into one another around the band. 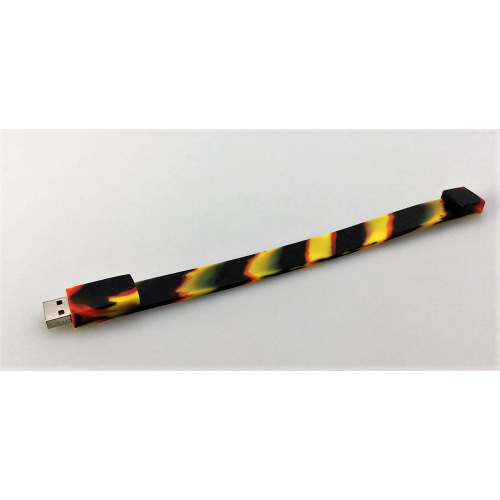 But this band has a unique feature to it that sets it apart from your everyday wrist strap -- it is a fully functional USB flash drive that you can use to store your data, music and photos. The flash is cleverly hidden on one side of the band and can be used by simply removing the cap. 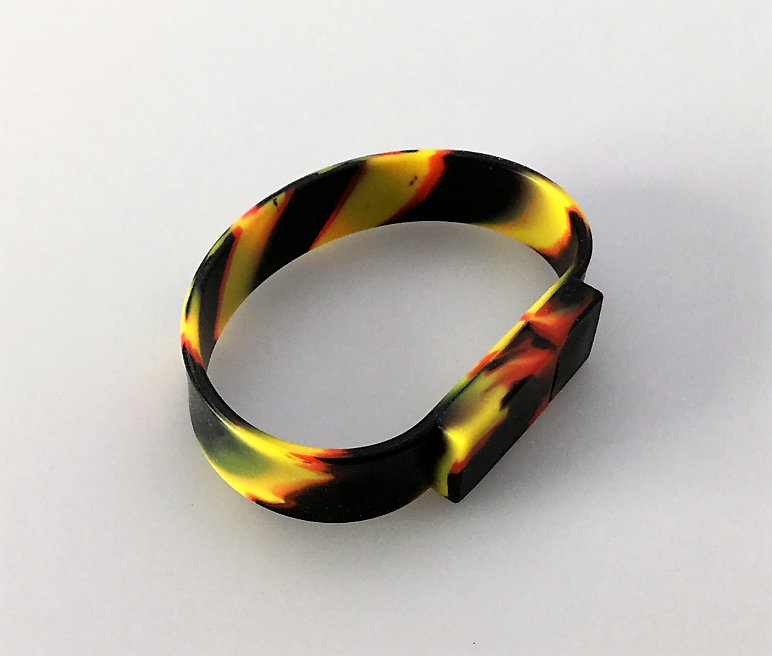 The strap is made from a durable silicone with a length of 208mm and can be worn indoors and outdoors in any weather conditions. This is the perfect promotional product for sports clubs, teams and outdoor companies to showcase their brand and services. 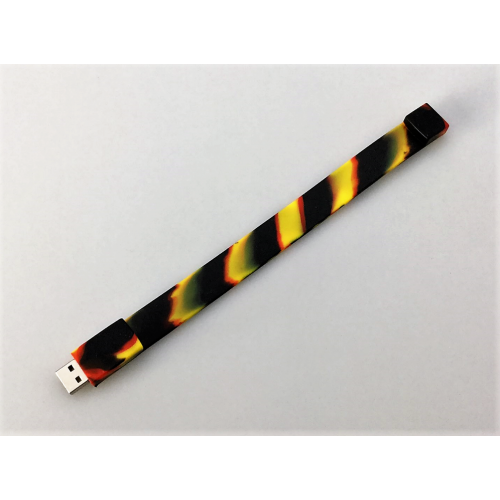 The product is supplied with your graphics or logo printed onto the promotional USB. We also offer a full-colour custom print of your logo upon request. Hand the wrist straps out as a welcome gift to visitors who attend your outdoor events and trade shows. 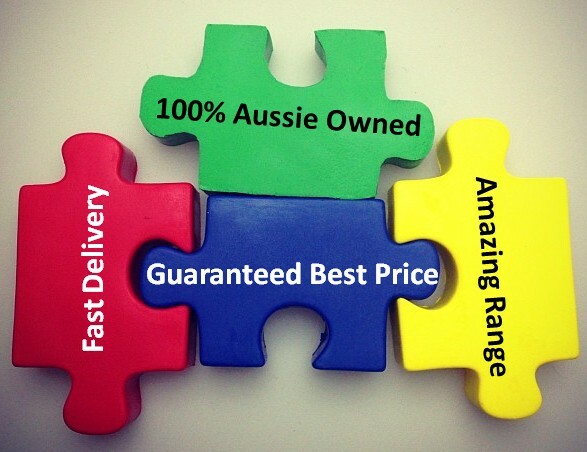 They make functional and useful devices that are sure to be worn and used.Branding is easy, we deliver within Australia direct to your door. Available options include a keyring attachment, data pre-loading, hard-coding of data, a lanyard attachment, gift box options in metal tins or plastic, USB extension cables and a complementary card slip insert. The USB drive comes in 1gb, 2gb, 4gb, 8gb, 16gb and 32gb capacities, all with Grade A memory. Internal Flash chips use Samsung, Toshiba, Hynix or Sandisk. The actual chip varies depending on availability at time of order. The USB has a lifetime data retention warranty.